When you're just beginning your studies in economics, you'll come across two very important subjects – microeconomics and macroeconomics. It's highly likely that you'll study both of these topics as you learn more about economics, as they are foundational to the subject. 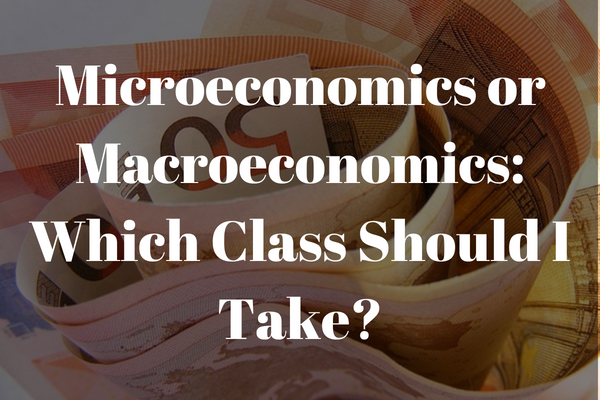 However, you might be in the position where you have to choose a class in economics to study now, before specialising later on – and in that case, should you take a class in microeconomics or macroeconomics first? Which will give you the best starting point for your studies in economics? We're going to discuss this question today, so you can learn a little about each subject and decide which you should study first. If you're currently looking for a course to study, check out our course list for master's degrees, PhDs and other academic courses. What's the difference between macroeconomics and microeconomics? Before making any decisions about which classes to take, you need to understand what each subject refers to. Microeconomics is the study of economic systems on a small scale – meaning that it is about the way which economic theories play out when they are applied to an individual, a group, or a company. Macroeconomics, on the other hand, looks at the entire economy of countries or of the world. For example, microeconomics in practice would include the study of supply and demand for a particular product or service, or examination of how a particular piece of legislation would effect a business who operated in that area. Macroeconomics examines economics on the larger scale, seeing how economic theories apply to governments and international organisations such as NATO. Examples of the kind of topics studied in macroeconomics would include the gross domestic product of a country, or the economics of imports to and exports from a country. So then, how are these subjects different? They both deal with similar issues, but on different levels. In fact, the same topics of study can be relevant to both subjects. For example, consider the issue of cost of living in a particular area, and its relation to inflation. This is related to microeconomics – because it's about how much people have to spend on housing, food, entertainment and so on – and can therefore be described on the individual level. But it's also an important topic in macroeconomics, as the inflation rate is effected by things like the interest rate which is set by the state. So it can also be described on the national level, as a subject of macroeconomics. You can see that these two subjects are often interconnected, where investigating one facet of a topic shows how the same topic can also be studied on a different level. One rough way of thinking about this is that microeconomics is “bottom up”, looking at how individual choices effect economic systems, while macroeconomics is “top down”, looking at how economic systems effect the people living within them. In order to understand a complex economic issue such as how and when a state should adjust the inflation rate, you would need to understand the basic principles of supply and demand and the way in which people make economic decisions, which would be microeconomics. Then you would need to understand how these principles apply to monetary systems and the financial market, and how the economy of a country fits into the international economic system, which would be macroeconomics. Another factor is that in microeconomics, there is little in terms of competing schools of thought; that is to say, economists generally agree on the principles. The same, unfortunately, can't be said for macroeconomics, the definition of which has changed several times - and often drastically - since its inception. Debate is still strong when it comes to macroeconomic principles and especially in terms of forecasting. This can sometimes make it a more challenging, if perhaps more intellectually stimulating, area of study. Should you take microeconomics or macroeconomics first? This means that for most economics students, you are better off starting with studying microeconomics first, and then progressing on to macroeconomics. That way, you can learn the principles of economics on an individual level, before you try to understand how those principles apply on a higher level. However, some would argue that you can understand the principles of economics better if you see them in practice first – as in, first you must study the financial system in order to make any sense of economics as a topic. These people would argue that it can be helpful to study macroeconomics before microeconomics. You might even find that your university roles both subjects into one unit such as an Introduction to Economics course. 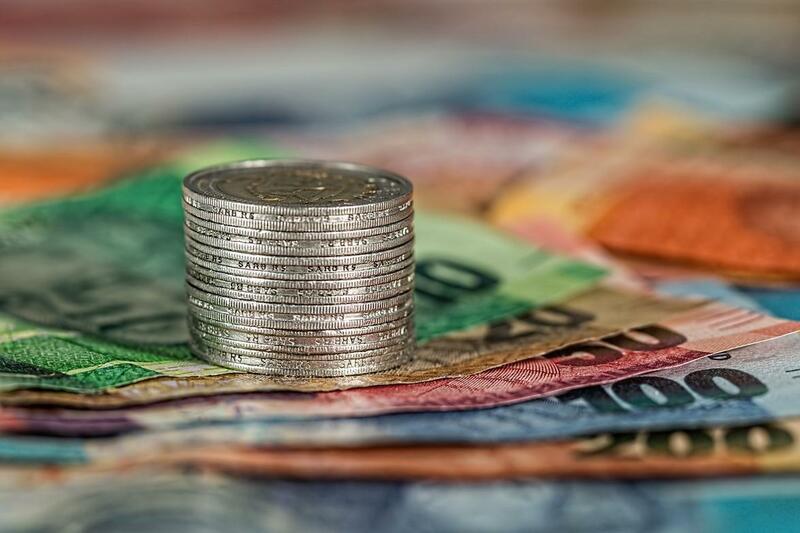 Any of these options will allow you to learn what you need to progress in your economics studies, but in general, most students will opt to begin with studying microeconomics first. A final point would be that microeconomics is generally more mathematical and macro less so. However, there will maths involved in macroeconomics, meaning having the mathematical foundation from microeconomics may be useful. In the end, if you're taking both it may be worth taking micro first. However, if you're only planning on taking one of the two, pick whichever you find more interesting. Looking for an economics program to get stuck into? Check out our program listings to find the perfect spot for you.